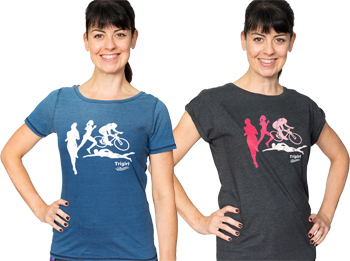 What’s new in the world of Trigirl Triathlon Kit? With excellent fit, flattering support, and well-thought out design, made just for women, we think our exclusive triathlon kit is the best on the market and we’re pretty sure you’ll think so, too. 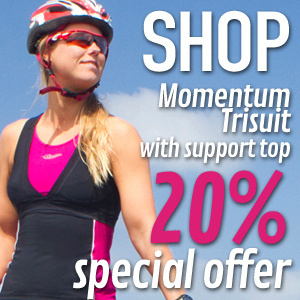 Click here to shop Trigirl’s exclusive triathlon designs, as well as swim accessories and wetsuits from Zone3 and amazing Anita sports bras. We’re continuing our partnership with ECONYL® to bring you gorgeous tri kit that’s also high-performance and environmentally sustainable. New prints! Following on from the success of our favourite prints, we can’t wait to see you racing in our new ones. We especially love the cheerful glitched floral! More options of our favourite swimsuit/tri-capri combo! We love the versatility that this combo offers. Wear the super-supportive swimsuit on its own for swimming or aquathlon. The tri-capris feature our female-specific triathlon cycling chamois for maximum comfort both cycling and running. And the matching set looks great together- especially in our new prints! ‘Ritzy‘, our most glamourous trisuit yet! With special piping details, perforated side panels, great prints and an extra-flattering cut! Our ‘Step-Long’ Tri Shorts are our latest longer shorts option for those of you who prefer a two-piece kit. Trigirl is going to great lengths to give trigirls what they want in a triathlon kit! The ‘Flow’ swimsuit, now with separate bra for extra training and aquathlon support! With a streamlined clasp for comfort and easy on/off, even when wet! Best available women-tested female-specific triathlon chamois for maximum cycling comfort in all of our styles. Tri tops with multi-layer support, including an easy on/easy off back clasp bra and roomier cut for a range of bust sizes. The update to our best-selling capri-length option, ‘Gait’ with Trigirl’s women’s specific triathlon chamois, offering another length option for training and racing- and comfort for cooler weather. Our women’s specific triathlon kit is designed to flatter and support – for maximum performance and style!